When most people think of Russia they probably conjure up images of the political unrest in Crimea, maybe the recent Winter Olympics, or maybe even images of the slightly unhinged leader, Vladimir Putin hunting bears in a helicopter with no shirt on while smoking (this probably happened, don’t laugh). I’m somewhere in between, I find the place fascinating and have a soft spot for Russian manufacturers like ZiL and Ural. 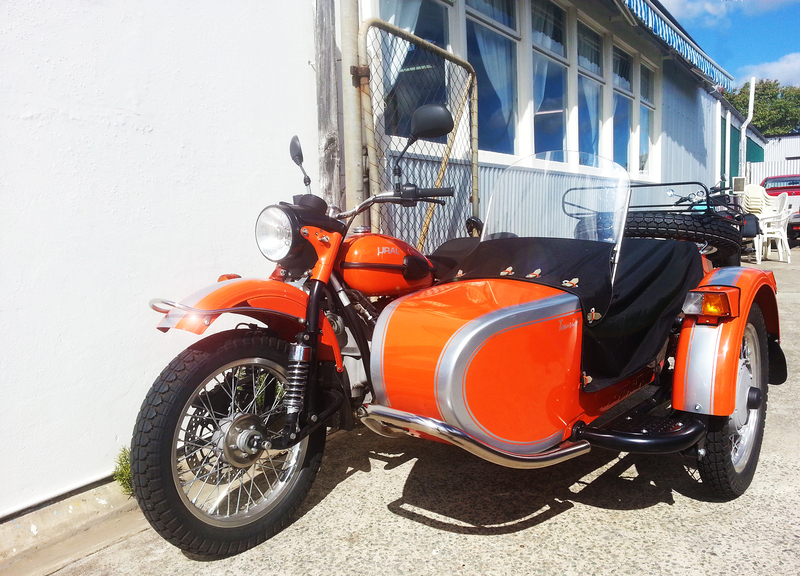 Ural have been making sidecar equipped motorcycles since WWII, when ‘Stalin ordered the Red Army to prepare ground forces. The motorcycles the Russian’s had used in WWI had proved to be less than adequate so the Red Army surreptitiously purchased five BMW R71’s and begun the process of reverse engineering the bikes. The result, the M-71 is still pretty much in production today in the form of the ‘modern’ Ural T and Patrol. I use the term ‘modern’ loosely as not a whole lot’s changed over the years. The bikes are two-wheel-drive, boxer twin powered units that apart from Brembo disc brakes and EFi haven’t changed a whole lot since the 1940’s. You get 40 horsepower to push around a bit over 300 kilograms, so you’re not going to win any traffic light drag races (but if that’s your thing you’re barking up the wrong tree anyway).